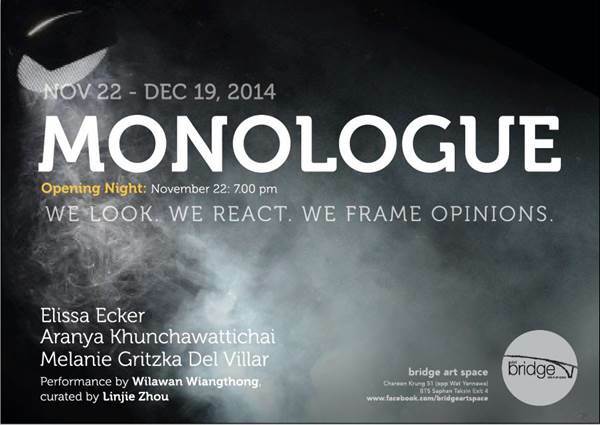 Bridge invites you to join us on November 22nd for the opening of “Monologue” exhibition . 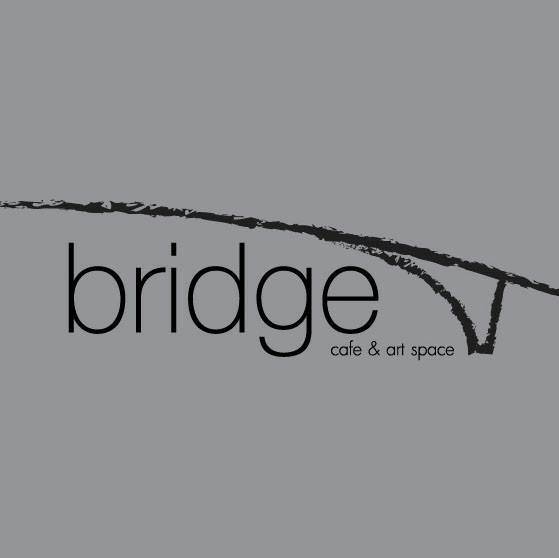 We are honored to present three female artists presenting their own inner monologues, speaking without words, inviting others to do the talking. Being bombarded with many different opinions, followed by curated thoughts, leading to the artist’s inner voice will invite contemplation, questioning and an ultimate dialogue. We look. We react. We frame opinions. Elissa Rae Ecker’s work is an exploration of unwitting connections and distorted illusions of choice. Through absurd scenarios in paintings and bizarre objects the connections and expectations of daily life are exemplified through simple traps. Traps with simple solutions. Leaving the real question being; Who is setting these traps? Aranya Khunchawattichai’s paintings are a reflection of her relationships from her childhood and the story that continues to grow in her mind. Unsettling portraits confront you and help a story grow in your own mind. Melanie Gritzka del Villar opens up her unique perspectives on the world through colorful paintings with surreal imagery and contemplative symbolism. Inviting you into her world of questions.